Now it is one thing to have a pleasant online experience, but this story as fully described in the book actually reminds me of the movie, The Matrix, where people live in an enslaved simulated reality. In fact, what are we to make of a somewhat nonsensical statement in the book such as the following? : “The arrival of more people in the virtual world is good for them, and it’s good for us.” I studied the context of this statement for a minute or two trying to discover who were “them” and who exactly was “us.” I concluded that grammatically the usage represented undefined pronouns, essentially empty words, but there was reference to a “collective benefit” gained through increased sharing of human knowledge in the virtual world. Overall, it just seemed that the tone of the book was that certain technocrats appear to think they know what it is “good” for other people. “Governments may determine, for example, that it is too risky to have citizens ‘off the grid,’ detached from the technological ecosystem. To be sure, in the future, as now, there will be people who resist adopting and using technology, people who want nothing to do with virtual profiles, online data systems or smart phones. Yet a government might suspect that people who opt out completely have something to hide and thus are more likely to break laws, and as a counterterrorism measure, that government will build [a] kind of ‘hidden people’ registry… You might also be subjected to a strict set of new regulations that includes rigorous airport screening or even travel restrictions.” [emphasis added]. In my view, the book “The New Digital Age” does not provide a vision of a bright future. It does entice one with a momentary “rush” you can sometimes experience when buying a new gadget at the electronics store. The book describes a future of contradictions. On the one hand, the digital age will allow people to live “safer and more engaged” lives. However, are you really “safe” in a world of wireless devices that “strip citizens” of their privacy, leaving them open to “nefarious activity”? The book describes a potentially dark future where people are effectively required to be connected to a seemingly abstract digital world. Although the new digital world can result in a “sharing of human knowledge,” it will increasingly be used my many as a form of escapism from reality. Furthermore, to refrain from participation in this virtual world may result in you being deemed by others as increasingly irrelevant and suspicious. Plus, there will be no truly “hidden people” allowed to live in the new world that lies ahead. 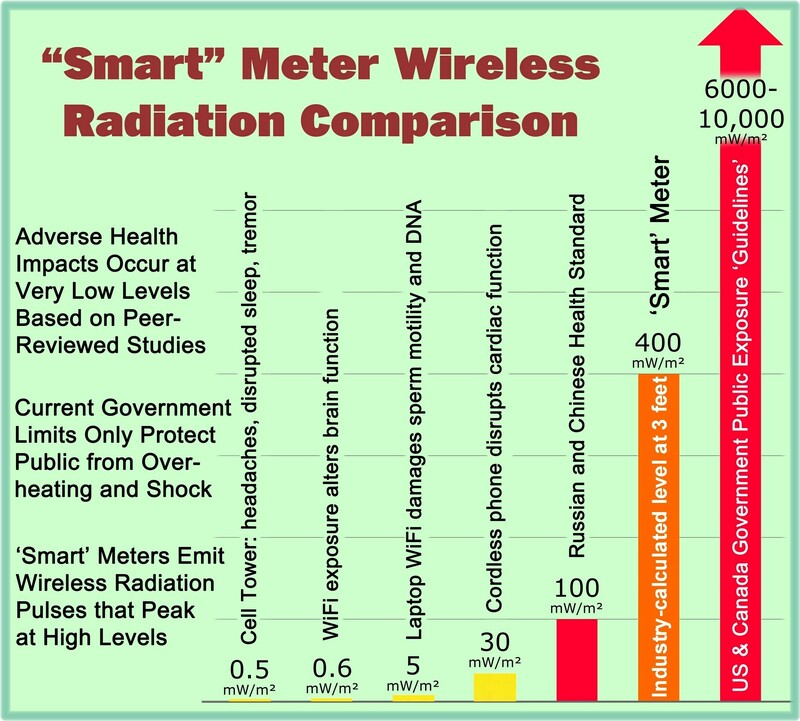 Relating the book back to topics such as smart phones, smart grids, smart meters, and smart homes, there are legitimate health reasons to oppose wireless technologies as discussed elsewhere on this website in terms of the adverse health effects of radiofrequency emissions. But there are also societal implications in terms of what kind of world we will become in some sort of vicarious virtual world of the future. Demands for “opt-outs” and wired technologies may actually allow a safer alternative for our society where we can not only preserve physical health for humans and other living organisms but also preserve proper respect for the true physical world in which we must actually exist. Schmidt, Eric; Cohen, Jared (2013-04-23). “The New Digital Age: Reshaping the Future of People, Nations and Business.” Knopf Doubleday Publishing Group. Kindle Edition. This entry was posted in Smart Grid, Smart Meters, and RF Emissions and tagged Google, Opt-Out, Privacy, RF Emissions, Wireless. Bookmark the permalink. Brilliant review. Good idea to read what “they” are writing. It is truly nuts, the google technocratic vision. But it fits with what spiritual traditions warn that what may be coming is not so nice, and the rise of the dark side of humans is inevitable. Forced collectivism is the opposite of goodness, mercy and light.